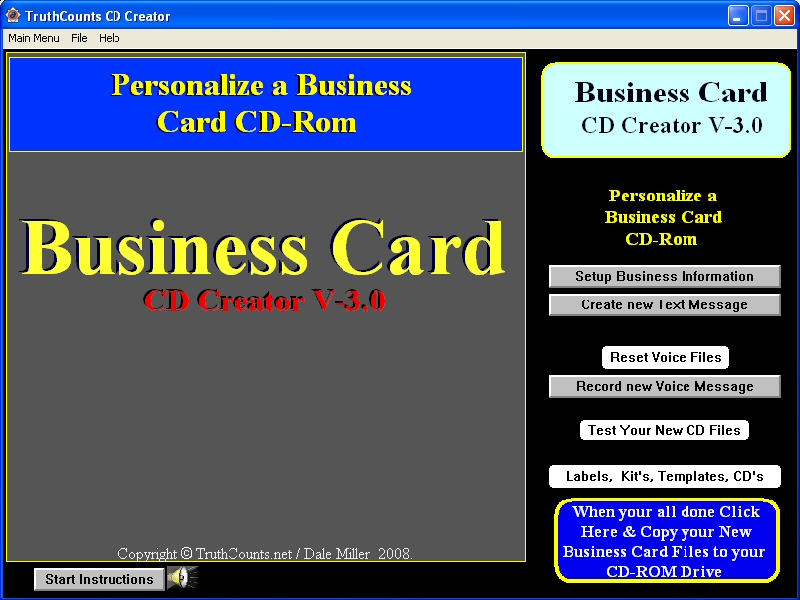 Business Card CD, DVD Creator 3.0 - Download Win Apps. Create your Customized Business Card or full size CDs to promote your business.. Create your Customized Business Card or full size CDs using multimedia, interactive, technologies that promotes your business. Put your total business in the palm of your hand with, Voice recording, (text to speech), web sites connections and more. You can personalize it for your Customers. Your customized program is designed to fit on a Business Card CDRom, standard size CD or DVD. Now its simple for anyone to create a custom Business Card. Highly Developed it software is specially designed to generate high standard of business cards, visiting cards, marketing cards, membership cards etc within simplest form with the help of its advance card designing objects.